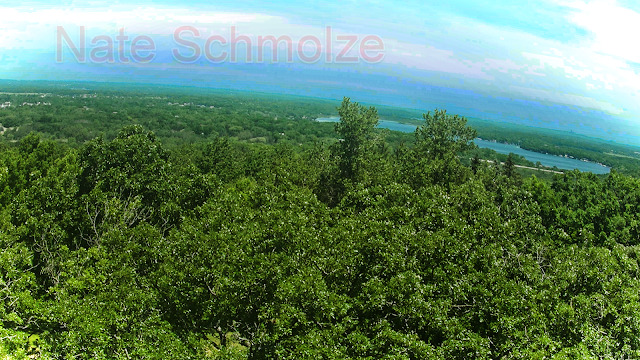 On Friday I went to Lapham's Peak at Kettle Morraine Forest. 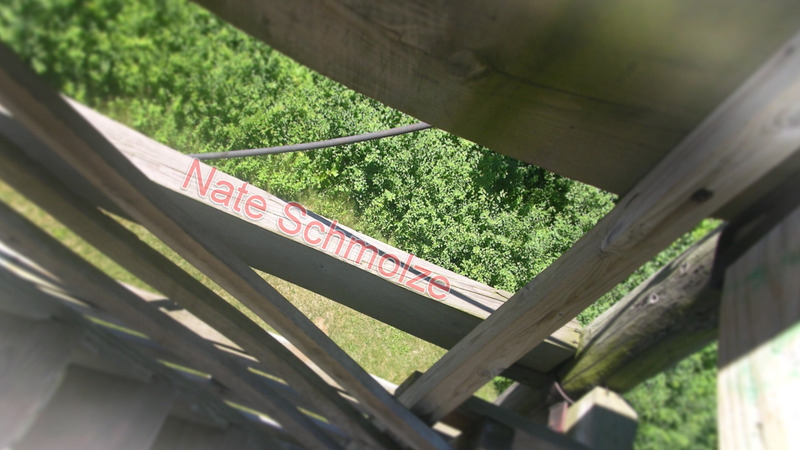 I thought it would be fun going up the tower and grabbing a few photos with an old Cool Pix Nikon 8700. 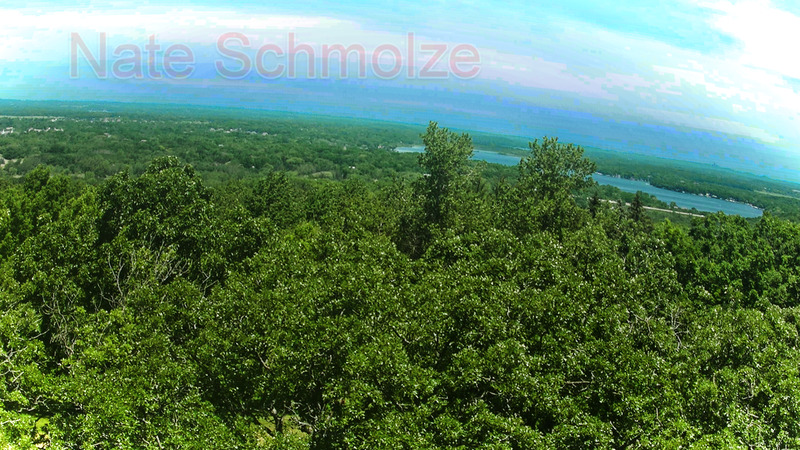 This is one I took where I am about half of the way up the tower. I edited the photo in Polarr, cropping, adding a blur, and some lens distortion. I will say going up the tower was much easier than going down.